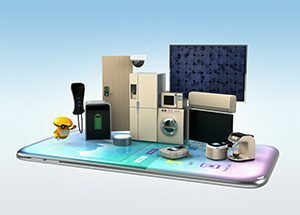 Recent research from Parks Associates shows that 16% of US Broadband households own 2 or more smart home devices, leading to additional smart home purchases. Smart thermostats are currently the best-selling smart home device. In fact, 50% of smart thermostats sold in 2017 were purchased as device upgrades from an older model. Smart home adoption demographics are transitioning from early adopters to early majority, showing continued industry growth. 34% of consumers have the intention of buying a smart home device. Smart home device purchases grew from 26% in 2014 to 48% in 2017. 16% of smart thermostat purchases were through HVAC dealers. In the past year, 22% of US broadband households purchased a smart home device.